The most played series in Call of Duty is back with Call of Duty: Black Ops IIII, a game-changing experience built for the Black Ops community with more ways to have fun with your friends than ever before. 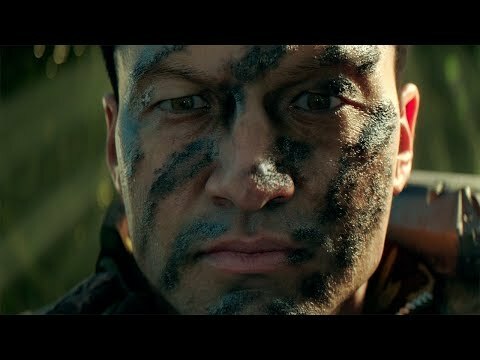 Call of Duty: Black Ops IIII delivers the deepest and most tactical multiplayer experience ever in Black Ops, the biggest day one Zombies offering ever in the series with triple the number of adventures, and an all-new Battle Royale-inspired mode that brings together characters, locations, weapons and gear from across the storied series in all-out survival combat, all uniquely Black Ops. Call of Duty: Black Ops 4 was released on PS4 192d ago in the US and the UK. Based on 6 Call of Duty: Black Ops 4 PS4 reviews, Call of Duty: Black Ops 4 gets an average PS4 review score of 89. The score for all versions is 88 based on a total of 9 reviews. Black Ops 4 might be missing a campaign, but it still feels like the most robust the series has ever been. Call of Duty: Black Ops 4 is a pleasant surprise. Call of Duty feels better off this year without the single player campaign when you look at its replacement. Black Ops 4 is the most definitive and complete Call of Duty multiplayer experience and is primed to take a big chunk out of PUBG and Fortnite’s market share.